In the unpredictable environment of the Sahel, Malian and Senegalese communities are facing increasingly critical challenges due to recurring climate extremes—including droughts and flooding. The impact that this has had on crops and livestock affects food production and security, not only for farmers and herders, but also for the wider population. Food security and economic growth in the region highly depend on adapting to and building resilience against climate change. This past July, a village in the Kaffrine region of Senegal flooded over the course of three days of rain. Two-thirds of the population was affected. Homes and stocks of grain and millet were destroyed. To make matters worse, the flooding hit the village during the lean season—a time when farmers and villagers rely on their grain stock to feed their families and livestock until the next harvest. International climate finance is becoming increasingly available to assist developing countries in mitigating the impact of climate change. However, international funding for climate adaptation is currently primarily channeled to national authorities, and communities have very little control over how this money is used. 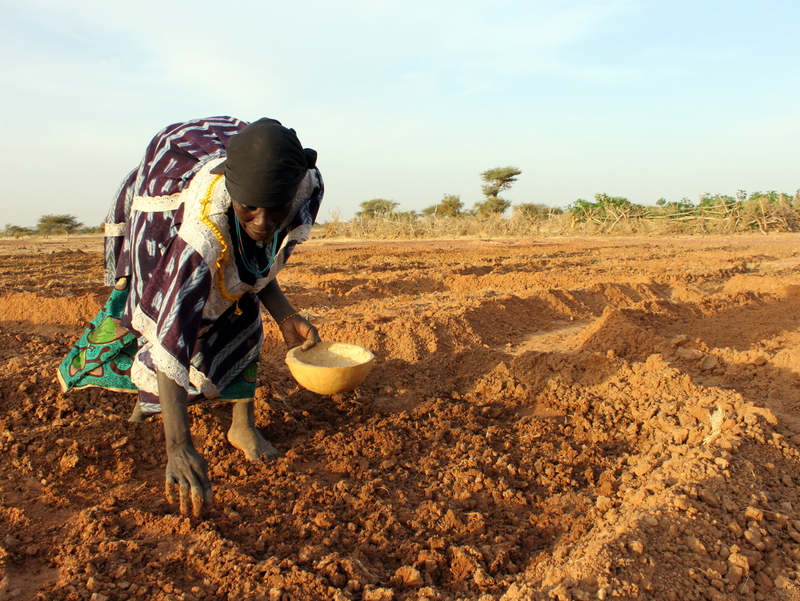 As a part of its Decentralizing Climate Funds (DCF) project, the Near East Foundation and its partners—IIED and IED Afrique—are piloting an initiative to help local governments in Mali and Senegal access and manage climate adaptation funds so that they can finance community-prioritized, public good investments to build resilience to climate change. The project teams are establishing adaptation committees within local government institutions to better coordinate decisions on which investments should be funded and where. This process will test the evidence that local control can and does work while encouraging national policymakers to take local adaptation strategies into account when formulating development policy. Decentralizing Climate Funds in Mali and Senegal from Near East Foundation on Vimeo. Through this community-driven participatory process, 3 million GBP will be allocated toward project proposals for investments. Once submitted, the proposed investment is vetted for feasibility and to ensure that they reflect the development priorities established by the local communes. Investments include projects to develop cereal banks, upgrade market gardens to help women improve their garden yields, update wells and water points, and reforestation efforts. So far, through the DCF project, 47 investments in Mali and 22 in Senegal have been approved and are underway. In recent months, the NEF-led DCF project team signed a cooperative agreement with the National Agency of Territorial Communities (ANICT) in Mali. Through this agreement, the DCF project will support ANICT as it completes the accreditation process needed to draw down on financing available through the UN’s Green Climate Fund. The accreditation provides an opportunity to develop the capacities of national-level authorities in Mali in how they manage issues related to climate change at the local level. To initiate the accreditation process and bring awareness about climate adaption funds and how to access them, the Ministry of Environment and the Ministry of Decentralization in Mali held a high-level launch event on October 4th. Next month, NEF-Mali’s Country Director, Yacouba Dème, will attend the COP22 in Marrakech, Morocco—a two-day event that brings business, government, finance, and civil society actors together to generate innovation and action in stewarding the emergence of the green economy. There, NEF and its partners will have the opportunity to take part in the global conversation surrounding climate change, and more specifically, attest to the importance of empowering local communities to adapt and build resilience to its adverse effects. For more information about this project and NEF’s work in Mali, click here.